Pine Gap thriller for ABC, Netflix. 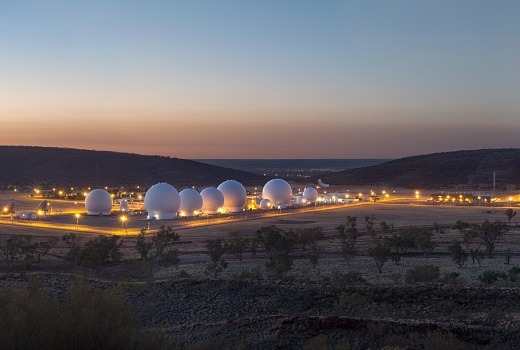 WORLD EXCLUSIVE: A new international political thriller centred around the joint US / Australia joint defence facility, Pine Gap, is to be produced by Screentime for both ABC and Netflix. Since opening in 1970 the joint facility, partly-run by the CIA, has been surrounded in secrecy. During the 1980s it was frequently the subject of protests due its pivotal role, and potential target threat, at the height of the US / USSR “Star Wars” friction. It continues to play a role in signals intelligence, providing early warning ballistic missile launches, and could be pivotal if North Korea unleashes a nuclear attack on the South Pacific. 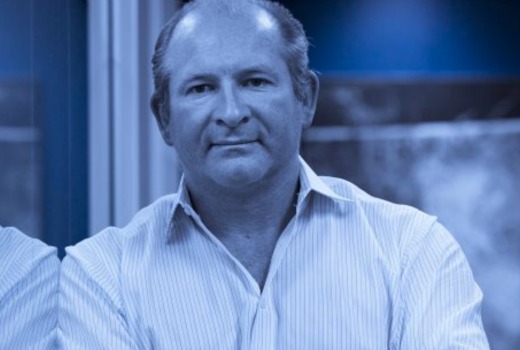 Showrunner and co-writer Greg Haddrick (pictured below) tells TV Tonight, the key roles would comprise both Australian & US characters, largely in Intelligence roles, but supporting characters would also dramatise the nearby Alice Springs community. “Since the ’80s I have been fascinated by the world of Pine Gap and what it meant to be living with a little bit of America in the middle of Australia, and the relations between Americans & Australians on that base. “So it evolved out of wanting to tell a story of those who work in intelligence, and how an environment of secrecy and increasing geo-political pressures impacts on those relationships,” he says. Together with writer Felicity Packard, researching the subject has proven challenging. The fictional series expects no co-operation from the base nor Department of Defence. “We don’t get direct access to the formal world of Pine Gap, but we did get considerable help from David Rosenberg who wrote the book Inside Pine Gap,” he continues. “He helped us with the unclassified information about the base. “And we had help from a couple of other people who had visited the base but are not part of the Department of Defence, directly. There’s plenty of topical subjects including a new POTUS that could make the plot of this show potentially intriguing, I suppose it would depend what decade the show is written for. Past shows with similar themes have always had a malevolent force controlling Australia’s politics inside Canberra, so this could be an interesting opportunity to leave Parliament House and further explore Australia’s security arrangement with the USA on an international scale using Netflix’s money. I swear I have already read this here about 3/4 weeks ago?? Now with full production info, incl ABC, and interview. Was also thinking that I’d seen this mentioned here before (and that it has been redacted for reasons of national security /tinfoilhat off). I hope that they at least try to make the motivations of the characters believable, something that was quite poorly executed in The Code. Otherwise it won’t be at all thrilling.